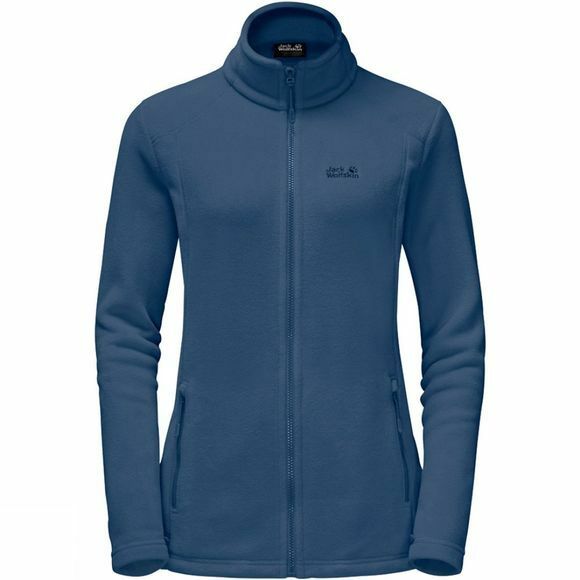 Simple and effective, warm and cosy–that's the classic Womens Midnight Moon Jacket from Jack Wolfskin. The system zip lets you zip it into a compatible shell jacket. The robust fleece provides a highly versatile insulation solution and is ideal for trekking trips.